Our touring production of Gross und Klein (Big and Small)is soon to finish up at The Barbican in London after receiving a warm welcome from the centre's audiences. In this second chapter in our series of profiles of international venues, we look at the evolution of this British cultural institution. The website for The Barbican repeatedly uses the image of a phoenix rising from the ashes to describe the birth of the arts centre, and it is an apt description. The arts centre - one of the largest in the world - is situated in the centre of a major estate in the middle of London that also includes residential apartment towers, the Guildhall School of Music and Drama, a library, a vast artificial pond and a school, and was heavily bombed during the Second World War. It took a long time for the city to get back on its feet, and it was even longer major construction projects could be seriously considered. 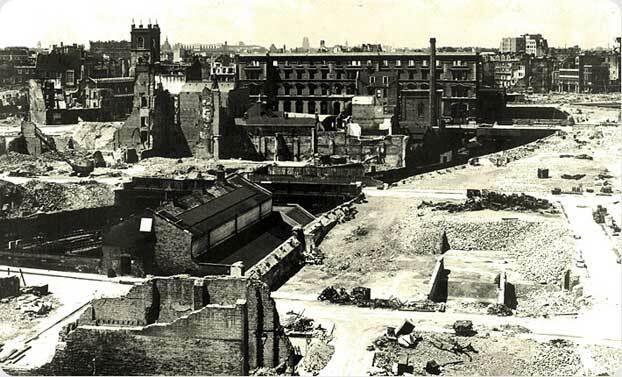 After first looking to use the land for industrial purposes, development proposals were considered at length by the City of London in the early 1950s, with the Minister for Housing Duncan Sandys finally approving the use of the site as a residential neighbourhood in 1956. The architects Chamberlin, Powell and Bon were charged with the task of designing the residential buildings, which were completed in 1968, and their successful adoption of the Brutalist style of architecture lead to them being offered the contract to design the arts centre as well, despite their lack of experience designing entertainment venues. Construction of the site was repeatedly delayed by unforeseen issues, such as the discovery of a plague pit filled with hundreds of remains that needed to be moved and reburied, but by 1971 the concrete was pouring and the build was on its way. Overseen by the newly appointed centre director Henry Wrong, the progress was slow and the centre was not opened until more than a decade later, in 1982. The arts centre featured a major concert hall, theatre venues, an art gallery and cinemas, in addition to restaurants, conference venues and exhibition halls, and was the new home to the London Symphony Orchestra and the Royal Shakespeare Company. 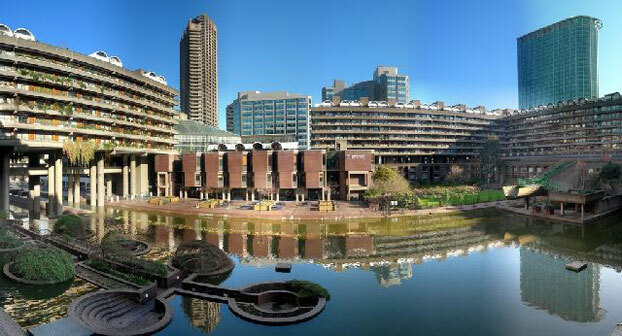 In the 30 years since The Barbican opened, the organisation has been through several renovations (including improvements to the acoustics in The Barbican Hall), changes in management and significant shifts in programming priorities. In 1997 the RSC reduced its residency to six months of the year, leading to the creation of Barbican International Theatre Events (BITE), which filled in the rest of the program and eventually became a year-round arrangement in 2002 following the departure of the RSC. BITE has given the Barbican team the opportunity to work on producing new work and to form strong co-producing ties with local and international companies. Gross und Klein (Big and Small)plays at The Barbicanuntil 29 April, before touring to Vienna and Recklinghausen.